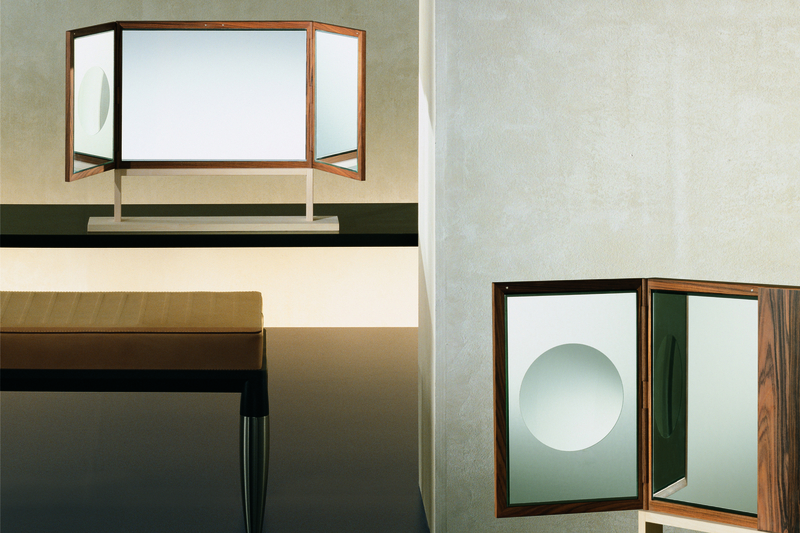 Ara is a practical folding mirror with the structure in solid wood with maple and pau ferro veneer. The finishing is in maple, available in different colour shades (28-37-45), and in wax pau ferro. The mirror has a wooden hinge, allowing for the door opening and closing. The edges of the mirror are bevelled. A magnifying mirror is on the left hand door.